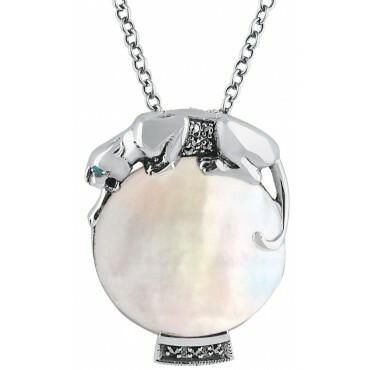 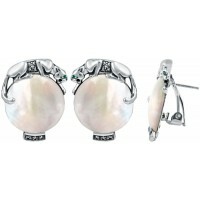 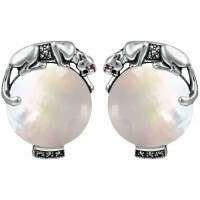 This mother of pearl panther pendant is finely crafted to the highest standard from hallmarked sterling silver and hangs beautifully on an antique belcher chain with adjuster. 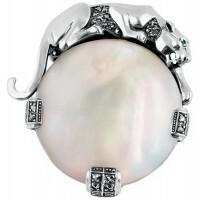 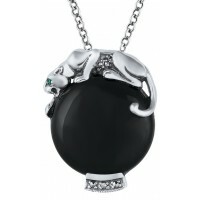 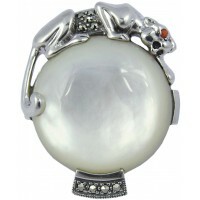 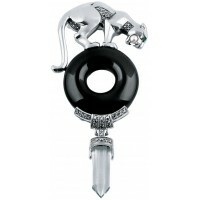 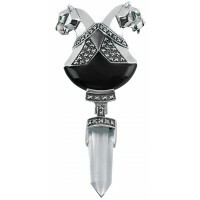 Skillfully crafted, this panther pendant is set with luminescent mother of pearl and finished off with marcasite and an emerald for the panther's eye. 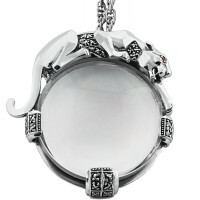 Part of our Windsor Collection, it’s a guaranteed future family keepsake.